A bright piece of information this week was the drop in the national, state and local unemployment rates. California’s dropped for the third month in a row and I can smell recovery. I am cautiously optimistic this trend will continue and we’ll see a lot of improvement in the coming year. 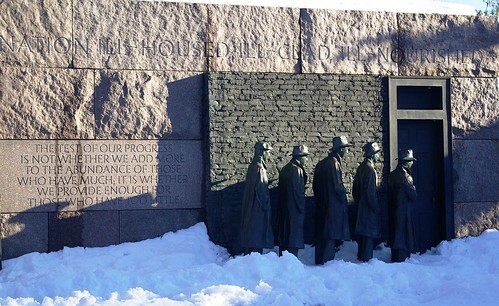 I wonder if the bail out kept the U.S. from experiencing another great depression. Do you think it did and what do you predict for the 2012 economy? Invest in the Markets takes a fresh look at a favorite Disney song. What does It’s a Small World have to do with money? Get inspired to meet that goal with this article from Faithful with a Few. I will use these words to motivate me when setting 2012 goals. Money Beagle shares that insurance isn’t that complicated if you don’t make it that way. What’s your dream? Learn Jana’s and a strategy for making dreams come true at Daily Money Shot. The Millionaire Nurse Blog shares management tips that resulted in a successful software implementation. Hmm, sounds closely related to my day job. Learn alternatives to an expensive college meal plan at Money for College Project. Sustainable Life Blog implores us not to let laziness cost you money! Is working from home one of your goals? Read this article from The Dog Ate My Wallet on the key to successfully doing so. A big thank you to all the articles linking to articles here. Please check out these articles for more great reading. I can’t remember the last time there were so many great prizes being given out in the Personal Finance blogosphere. Be sure to enter. I’ve won several prizes in the past month! You know I’m a Dave Ramsey fan, so I’ll be entering the Money Q&A giveaway of two of Dave’s books. Entries close November 26th. Money is the Root is hosting a $25 Amazon gift card giveaway for Thanksgiving. This ends in 13 days. Being a girl from Kansas, I love this handmade bookmark from Debt Free by Thirty. Click through to see what I mean. Enter this giveaway by midnight, November 27th. Young and Thrifty is celebrating her two years of blogging with several winners. The grand prize is a $100 Amazon card. Entries close November 28th. What are you thankful for this year? Leave a comment with that at Budgeting in the Fun Stuff and you’re entered to win $50 cash or Amazon gift card. Entries close November 30th. Personal Finance Journey is back with his giveaway that benefits readers and charity. This month the total value is $201.40 and there will be two winners plus the grand prize winner selects their choice of 10 charity options. The deadline to enter is November 30th. Five Christian finance bloggers have banded together to give away a Kindle Fire plus a couple of other prizes (who can remember once I saw the grand prize). Entries close tomorrow and you can enter at Redeeming Riches, Free Money Wisdom, Bible Money Matters, One Money Design and Faith and Finance. The Financial Blogger is giving away an iPad! He’s actually giving away two; enter at The Dividend Guy Blog as well by December 1st. Congratulations on 5 years of blogging. Win one of three copies of Saving Savvy by Kelly Hancock from Money Crashers. Enter with your best money saving tip no later than November 30th! The Penny Hoarder is giving away a $50 Home Depot gift card. Enter by midnight tonight! Last but not least by any means is the 1st anniversary giveaway at Sustainable Personal Finance. Not only do you find out who’s behind the blog, there are eight prizes ranging from an iPad (oh yeah) to $25 cash. Not all shabby. I’m one of the proud sponsors and entries close in 29 days! Hey Kay Lynn, thanks so much for including my article! I hope we both can stay motivated to meet out goals. Great list of prizes and giveaways. If you can’t win with all this stuff being given away, you’re just unlucky! Great posts! Awesome that you consolidated the contests on one page. I’m going to check them out. Thank you for including me Kay Lynn! I haven’t stopped by in a while and I LOVE LOVE LOVE your new site design! Thanks for including my giveaway! Thanks for the mention. Hope you had a great weekend! Thanks for mentioning me…twice! Good luck with the Dave books! Thanks for the mention… great giveaway list too!